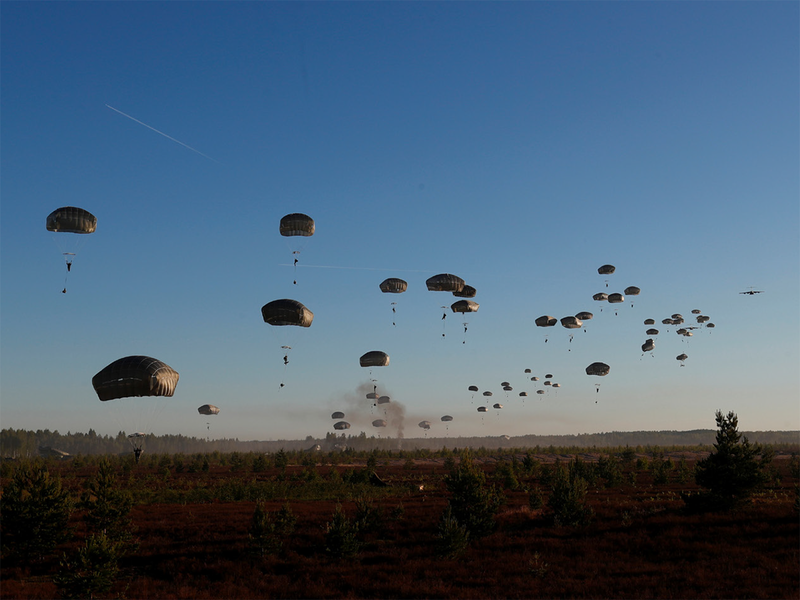 In this article, Niklas Masuhr writes that NATO is prioritizing conventional military capabilities to deter Russian encroachment on the Alliance. Further, Western planners and strategists view the war in Ukraine as a key benchmark that defines future capability requirements. As a result, various adaptive processes are underway within national armed forces. This article was originally published in the CSS Analyses in Security Series by the Center for Security Studies on 3 April 2019. The article is also available in German and French. When Russian intervention forces occupied the Crimean peninsula in February 2014 in a coup de main, NATO was still committed in Afghanistan. After more than ten years of counterinsurgency and stabilization operations, the crisis in Ukraine triggered a reorientation towards its original purposes of defense and deterrence. During the same year, at the NATO summit in Wales, it was decided to enhance the speed and capability with which NATO forces could respond to a crisis. The subsequent Warsaw summit in 2016 added rotating multinational contingents in its eastern member states in order to signal the entire alliance’s commitment to their defense. Below these adaptations at the level of NATO, national armed forces are being reformed and rearranged because of the shift in threat perception. This analysis focuses on the military forces of the United States, the United Kingdom and Germany. The tactics and capabilities Russia has brought to bear in eastern Ukraine in particular serve as the benchmark according to which these Western forces are being shaped. Late last week, the World Trade Organization (WTO) issued what the media is calling a “historic” ruling on the applicability of Article XXI, which allows nations to take trade limiting actions in the name of national security. The decision will inevitably be appealed and thus will get caught up in the dispute over the Appellate Body, but it’s worth making some comments now since, even though the case is not about the U.S. steel and aluminum tariffs, the decision has implications for them since they are also being litigated at the WTO, and the complainants are using many of the same arguments. Russia has solidified its control over Crimea, but the contestation of that control by Ukraine and the West continues to loom large in their respective relations with Moscow. Military action or more sanctions are unlikely to convince Russia to relinquish control over Crimea. The disconnect between pragmatically achievable objectives and symbolic resistance to Crimea's annexation has created a standoff that is now perpetuating itself. In international relations, extended crises or disputes eventually behoove affected parties to accept realities, albeit at a cost to those involved. It's been half a decade since events radically changed Ukraine. Beyond demonstrations in Kiev, where President Viktor Yanukovich fell from power as a result of the euromaidan movement, the pro-Europe protests led to Russia's annexation of Crimea and the ongoing separatist conflict in eastern Ukraine. Five years on, the status of Crimea continues to be a source of great contention, as Kiev rejects the Crimean Peninsula's accession to Russia, which exercises de facto — and, as far as Moscow is concerned, de jure — control over it. Even outside Ukraine, the events that occurred in Crimea in 2014 continue to cloud political and military relations between Russia and the West, and several of the sanctions against Russia center directly on the Crimea question. The Ukrainian presidential election is only weeks away, and its outcome is highly uncertain. President Petro Poroshenko is lagging in the pollsbehind Volodymyr Zelensky, a television actor whose only political experience consists of playing the president of Ukraine in a sitcom. The country will head to the polls while still at war in its eastern region of Donbas, where in 2014, local separatists forcibly seized government buildings and declared people’s republics in the cities of Donetsk and Luhansk. Since then, the conflict has taken on elements of both a civil war and an interstate conflict, with Russia arming separatist combatants and sponsoring the breakaway regions. Violence is muted but steady: the number of deaths recently reached 13,000, one-quarter of them civilian. On March 31st, Ukraine will hold its second presidential election since 2014’s so-called ‘Revolution of Dignity’. None of the leading candidates is scandal-free: the incumbent, Petro Poroshenko, formerly a successful businessman, turned up in the Panama Papers in 2016, allegedly transferring funds out of Ukraine illicitly. Yulia Tymoshenko, a former prime minister who made a fortune in the murky gas business in the 1990s, has long been suspected of corrupt ties to another former prime minister, Pavlo Lazarenko (imprisoned in the US in 2006 for money laundering). And Volodymyr Zelenskiy, an actor and comedian whose best known character is a school teacher who becomes president of Ukraine, seems to be backed by Ihor Kolomoiskiy, accused by a business rival in 2015 of ordering contract killings in Ukraine. In its 2019 Annual Forecast, Stratfor noted that the Sea of Azov would emerge as a key front in the ongoing conflict between Ukraine and Russia — writing that both countries would bolster naval assets in the area, with the United States weighing in through additional security support for Ukraine. A recent meeting between Ukrainian and NATO defense officials, along with upcoming sanction decisions against Russia related to the Sea of Azov, point to the growing importance of this front. At the end of 2013, Viktor Yanukovych, Ukraine’s president, postponed signing an association agreement with the European Union, choosing instead to pursue closer ties with Russia. Protesters began massing on Kiev’s central square, known as the Maidan. Weeks of tension spilling into violence culminated with Yanukovych’s ouster on February 22. Russian President Vladimir Putin looked on with anger and alarm. Suppose that what had happened on the Maidan sparked similar protests in Russia? The flashpoints may change over time, but the fundamental foundations of conflict—the decay of U.S. military hegemony and of the global international order that has accompanied it—mean that the near future will likely become more hazardous than the recent past. The world has avoided war between major power war since 1945, even if the United States and the Soviet Union came quite close on several occasions during the Cold War. In the first two decades following the fall of the Berlin Wall, great power war seemed virtually unimaginable. Today, with China’s power still increasing and Russia’s rejection of the international order apparently complete , great power conflict is back on the menu. 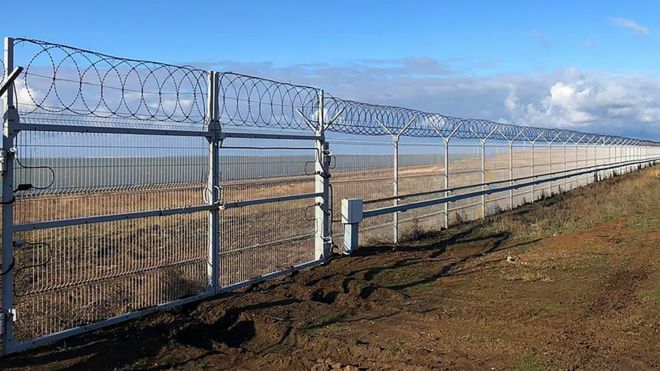 The fence spans the neck of land connecting Crimea with Ukraine's Kherson region. Most of its sensors pick up vibrations from any potential intruders, the FSB said, but some are also radio-location devices. Russia has similar equipment along its northern and eastern borders. MOSCOW—Russia is fighting Ukraine on several fronts at the same time: Its trolls are waging information war and regular troops are deploying closer to Ukrainian borders. Fear of a huge war is growing here as well as in Kiev. So it was inevitable journalists hoping to understand the Kremlin’s strategy would try to ask President Vladimir Putin pointed questions during his four-hour press conference Thursday. But Ukrainian journalist Roman Tsymbaliuk became a hero of the day by pushing the Ukraine war into Putin’s face. He asked the Russian president directly how much money Russia was spending on the rebel-controlled “occupied Donbas” in the east of the country. Several journalists from Kremlin-loyal publications began to laugh, some of them a little nervously. U.S. leaders should keep a close eye on Russian President Vladimir Putin’s cyber sleight of hand. Behind the smokescreen of multi-polar chaos, Putin is ramping up cyber warfare to keep Western powers, including the U.S., from keeping Ukraine from Russian state capture. Russia needs Ukraine to be aligned not only because of the large ethnic Russian population there, but also because it represents the last line of defense between Moscow and the Western powers, as well as a huge economic partner. In five years, however, if current trends continue, Russia’s economic footprint in Ukraine will be diminished to such a capacity that Putin will either have to concede — or be forced into military action against the West. LONDON – This Human Rights Day (December 10) marks the 70th anniversary of the United Nations General Assembly’s adoption of the Universal Declaration of Human Rights. 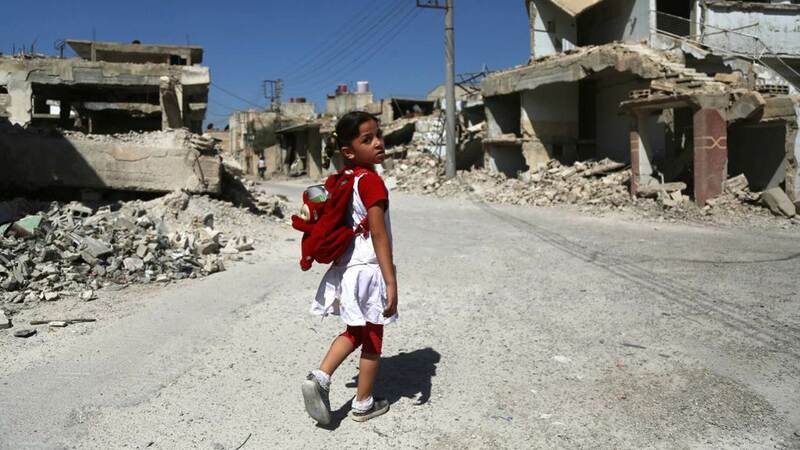 Sadly, events over the past few years show that the world is failing to uphold the commitments enshrined in that document, particularly when it comes to protecting children.